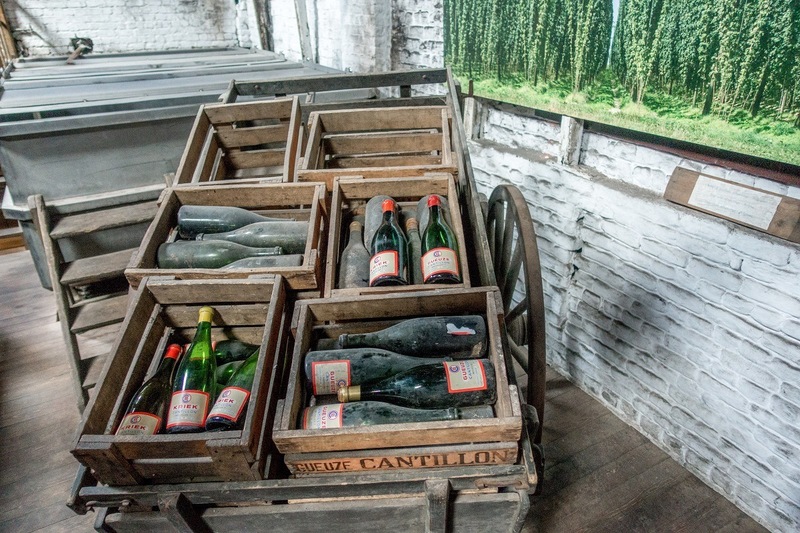 Cantillon Brewery is not your typical brewery. In a neighborhood outside the historic center, you’re greeted like a friend in this antique place. There is no walled-off, sterile brewing area, no stainless steel showpiece tasting room with fancy tap handles spouting pumpkin ale. They don’t ask you to check your bag. 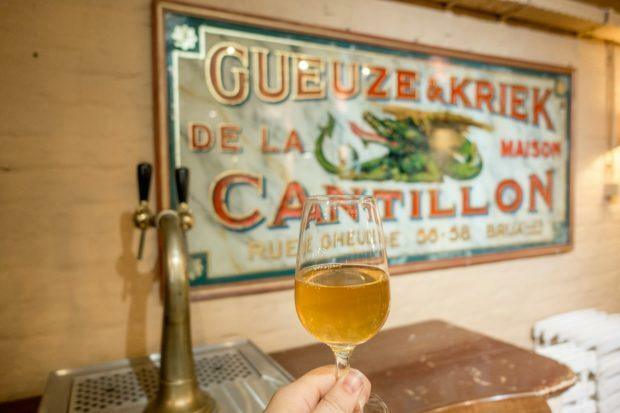 Instead, when you step into Cantillon Brewery in Brussels, Belgium, what you see are lots of enthusiastic Belgian beer lovers in the midst of a working brewery having the time of their lives. To be fair, the other thing we noticed when we arrived for our tour of Cantillon Brewery is that it’s a bit…dirty. That’s to be expected in a 100-year-old building. But it’s also on purpose and a large part of what makes Cantillon great. 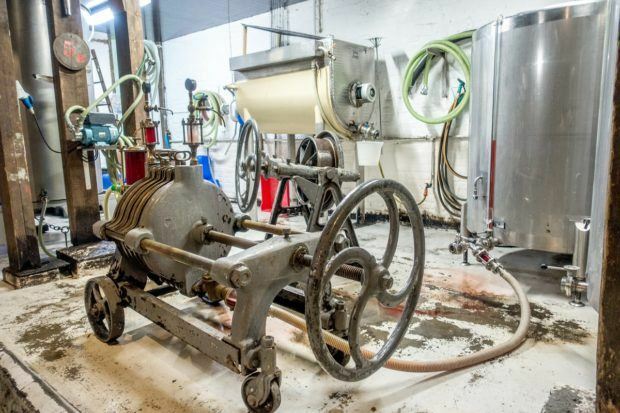 Unlike other breweries using specific, controlled strains of brewer’s yeast, Cantillon spontaneously ferments in the open with wild yeast to make its traditional lambic beer. They’ve been doing it just this way for over a century. Founded in 1900, Cantillon was one of more than 100 breweries in Brussels when it began, but it is the only one that’s still around from that time. Its longevity is due to the popularity of its gueuze, a sour and acidic blend of one-, two-, and three-year-old lambics that is aged in oak casks. Three years might sound like a long time to wait for beer, and it is, especially by American standards. 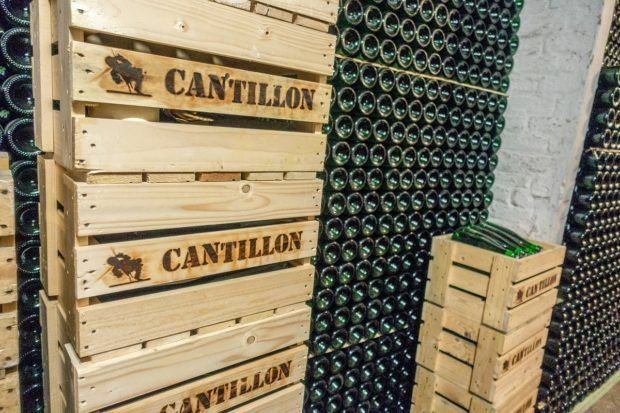 But with over 100 years of history and a rabidly loyal fan base, Cantillon is clearly doing everything right. The sense of history and commitment to making a world-class product was clear as we toured the brewing and bottling facilities. Like many other things at Cantillon Brewery, the tour is unexpected. There was no guide to shuttle us from the masher to the fermentation tanks to the bottling line. Instead, our guide was an artfully-written, detailed 15-page guide and our own two feet. 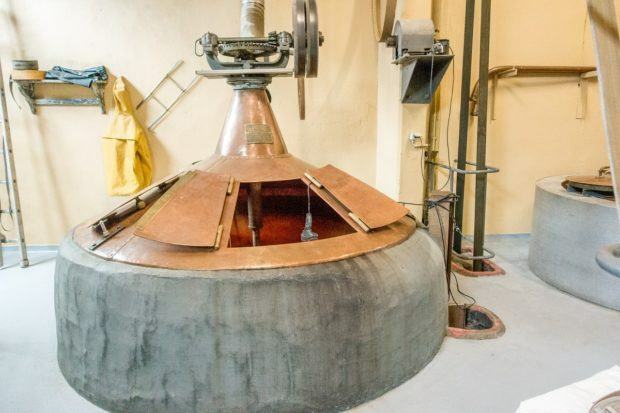 Yes, tours at one of the world’s most renowned breweries are self-guided through the middle of the working facility. As we walked by the grain crushing machine and by the giant masher, employees went about their daily work around us. We saw the space where the grain is stored and the massive coolingship (like a giant, shallow pan) where the wort is exposed to the open air of Brussels coming through the wooden slats. We saw the boilers, visited the bottling area, and walked through the cellars where the Cantillon beer rests. Nowhere did we see signs warning us not to touch this or not to step there. Along the way, we got an in-depth education on Cantillon’s process for making their unique, complex brews as well as an understanding of lambic brewing and fruit beer production. And we got to do it all at our own pace and unencumbered by a tour group. After our half-hour tour, we made our way to the bar and tasting area. Two complimentary tastings come with the tour, but there are a number of bottles to choose from, too. We opted for the classic gueuze and the kriek, a sour cherry lambic that’s also pretty popular in Belgium. For lambic aficionados, these are the height of excellence. As we sat, we listened to other visitors talking about how visiting Cantillon was a dream come true. They bought as much as they could carry and then some. One gentleman from the US told us he comes to Belgium every five months, mostly to stock up on gueuze. It was a lambic love fest. 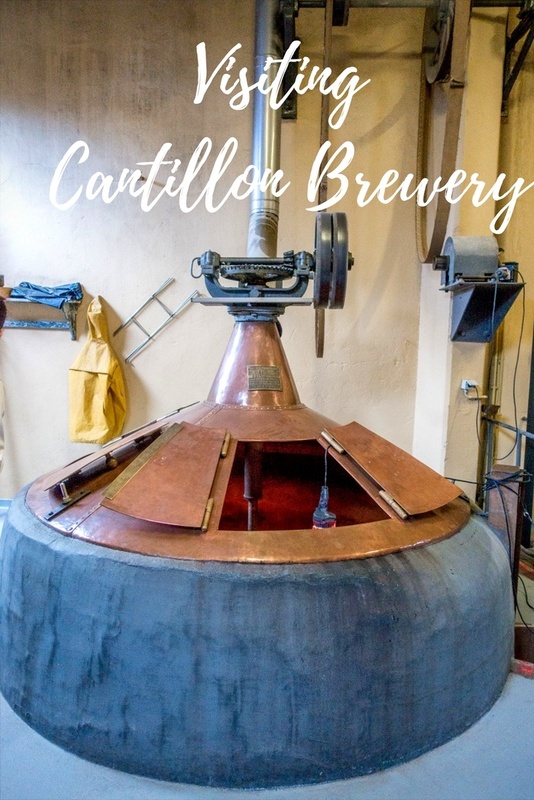 A visit to Cantillon Brewery is like nothing else we’ve experienced in our travels to wineries, distilleries, and breweries around the world. It’s as open and relaxed as it can be, sticking with tradition in its open vats and scattered spiderwebs. It’s also proof that there is not only charm but sometimes greatness in the old ways of doing things. 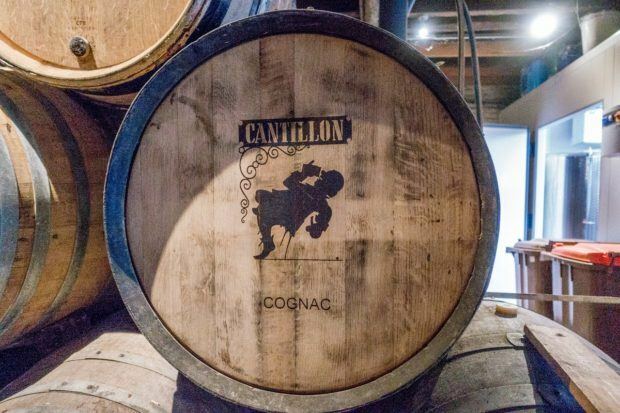 With its creaky floorboards, thin layer of dust, and generations of expertise, Cantillon Brewery continues to push the envelope of exceptional beer. Cantillion Brewery and Brussels Museum of the Gueuze is located at 56 Rue Gheude in the Anderlecht municipality in Brussels. The brewery is about a 20-minute walk southwest from Grand Place or a 7-minute walk from Brussels Midi train station. The Clemenceau metro station and several tram stops are also nearby. 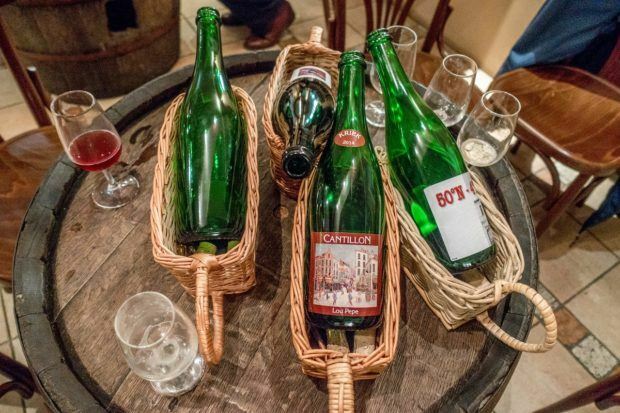 What do you think about A Tour Like No Other at Cantillon Brewery in Brussels? Oh, this looks like a great tour! The Belgians know how to do it, right?